Sloe Vodka | Anyone For Seconds? Having foraged what seems like half a truck load of sloes, I decided that I personally would prefer to make Sloe Vodka rather than the common format Gin! Having seen it for sale at country game fairs I thought I would try it out, simply replacing vodka for the gin. So my mum gave me her Sloe Gin recipe and off I went! 1 Prick the sloes all over with a cocktail stick or needle. If you wait for the first frost of the year, the sloes may already be cracked open. 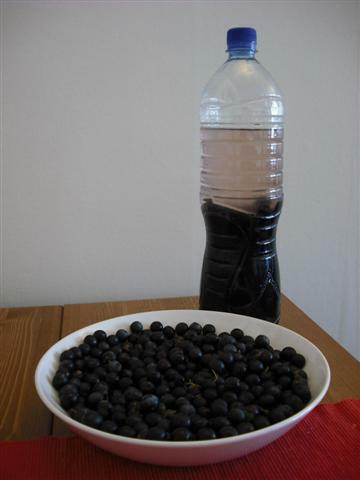 2 Mix the sloes with the sugar and then add them to a large storage bottle or container with the vodka. 3 Store the bottle in a cool dark cupboard and shake it every other day for a week. Then shake it once a week for two months. 4 The sloe vodka will take on a beautiful dark red colour and be ready to drink. 5 After two to three months, pour the mixture into bottles through a funnel lined with fine mesh or cheesecloth and store in a cool place again. Might have to make a lot more of this stuff for xmas presents looking at the amount of sloes I have left. My only problem is that I wish I had someone to prick all the sloes for me!! 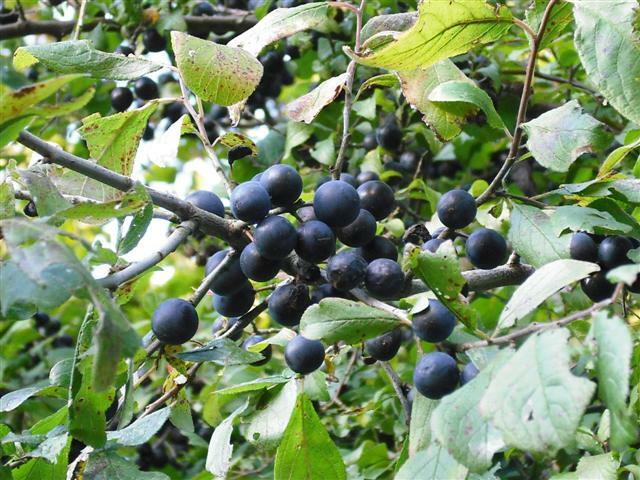 Having made sloe gin a few tines now, I only ever pricked the sloes the first year – far too much trouble. Couldn’t tell the difference from the next batch I made which were unpricked and it is always appreciated by whoever I happen to give it to that year. Just seen this post. If you freeze the sloe berries, you then don’t have to prick them. An easy cheat for this is to place the sloes onto a flat tray and roll the spikey (zest) side up and down a few times and the job is done. Another reccomendation was to put them into a plastic bag in the freezer for 24 hours once they split take them out defrost and use. I Agree, do not bother to prick every single sloe! I froze mine then bashed them a bit with a rolling pin when still frozen. The sloe bushes by a lake close by to me were ready to pick in September this year and I’m just about to strain off and drink at Christmas. I will try to put some away and see what it’s like a year on. The batch I made last year tasted of plums and cherries!! absolutely divine! Wonder if it would work with wild rosehips? I made jelly with them and it’s wonderful. Love the sound of this recipe..nice & easy..definetly going to have ago..already picked my sloes. I made it from this recipe last year. It was delicious! Had it in champagne too! Just about to make another batch and found last years and it has matured beautifully! I used a flat tray and grater to prick sloes. Easy!